Eurohill's Africa is a winning Grand Prix horse on 1.60 m. level. She is careful, has all the scope, fast and easy to ride. Spruce Meadows Masters ***** 2016 Cana Cup 1.60m. Grand Prix CSI Zuidwolde ** / CH de Wolden 2016 1.45 -1.50m. CSI Zuidwolde** / CH de Wolden 2016 1.45m. Grand Prix CSI Wierden ** 2016 1.45m. Grand Prix Hardelot France *** 2016 1.55m. 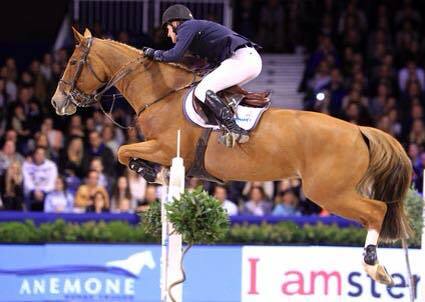 CSI Hardelot *** France 1.50m.